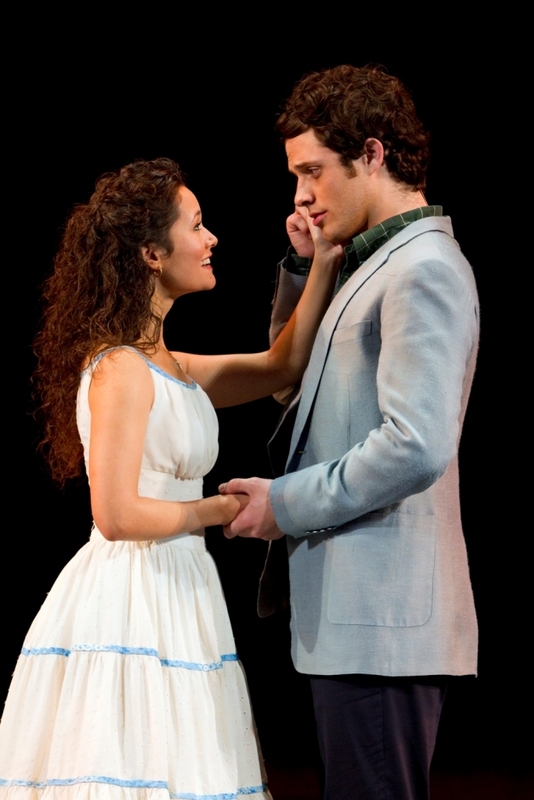 Passion matters in West Side Story, and the current national touring production trembles with it, so that no one in the audience is likely to be left untouched. Based on the recent Broadway revival, this West Side Story gets down to the show’s basics, and it reminds you what a thrill it is to see musical theater that’s about something more than style. 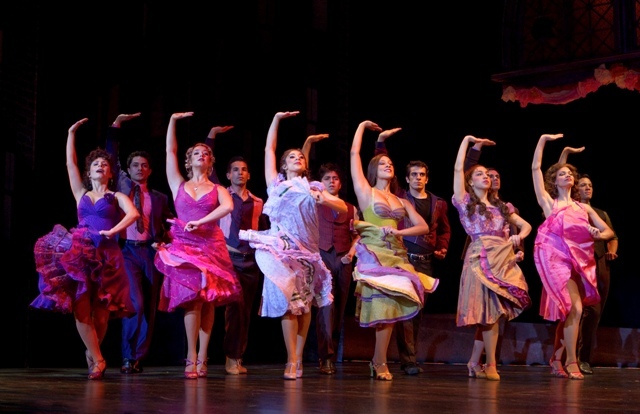 Of course, West Side Story is a classic: It’s one of the three or four shows that many musical-theater lovers would label perfect, and the 2009 Broadway production – directed by then-90-year-old Arthur Laurents, the show’s librettist – got at the heart of what made it work so beautifully. But in that revival Laurents also made a radical move: He and composer Stephen Sondheim engaged Lin-Manuel Miranda, who wrote the music and lyrics for In the Heights, to translate some of the Sharks’ dialogue and lyrics into Spanish. Although Laurents eventually took some of the Spanish back out of the Broadway revival, much or most of it is in evidence in the tour, and the result is to emphasize the huge divide of language that keeps the Sharks and the Jets at each others’ throats. Those who don’t speak Spanish (and I’m one of them) need have no fear: The language turns up in parts of three or four very familiar songs (mainly in “I Feel Pretty” and “A Boy Like That”) and in scenes among the Sharks and their girls that make perfect sense if you can recognize fury and fever and joy. For the tour, director David Saint has followed Laurents’ lead in casting very young-looking actors, so that these Jets and Sharks seem like teenagers, like mixed-up, raging kids. James Youmans’ scenic design shows an oppressive city closing in on them – a bridge looming, a highway overpass so low it almost crushes those below. 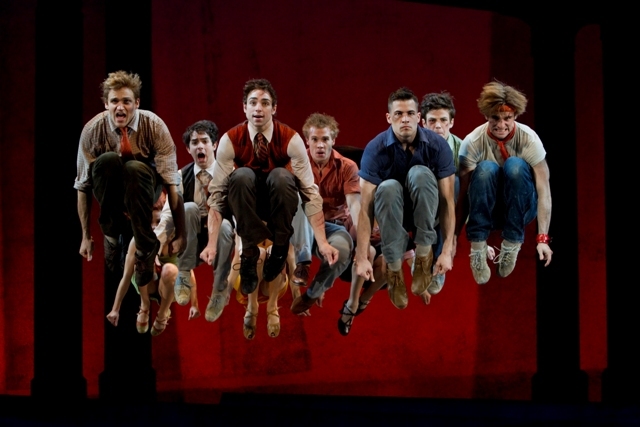 And Joey McKneely’s re-creation of Jerome Robbins’ iconic dances gets at all the emotion bubbling up inside them: Very often, as Tony says, these kids really seem to be floating 12 feet in the air. Personality bursts out of them – from German Santiago’s proud Bernardo, from Michelle Aravena’s fierce Anita. Ted Ely, an understudy who played Tony on opening night, comes across as very young and a little callow, and he struggles a little with Tony’s highest notes. But Ali Ewoldt makes a terrific, assertive Maria: She’s far from the shy little thing you often see, and she has a gorgeous soprano voice, which she shows off in a funny little sing-off with one of the other Shark girls. Still, Maria and Tony are every bit as dreamy-eyed as they need to be, and in “Somewhere” their fantasy turns real for just a moment in a blinding white landscape where Sharks and Jets, stripped of their anger, play at life like children on a beach. It’s lovely stagecraft, and so is the gorgeous “Tonight” quintet, when Tony, Maria, Anita and the rival gangs sing out their hopes and feelings in a brilliant juxtaposition of desires. Mix those desires with Bernstein’s dazzling music and Robbins’ high-flying dances – athletic, balletic and utterly cool – and you have a musical with heft, a musical that matters. “You make this world lousy,” says Doc, the drugstore proprietor, to the menacing kids. Well, yes, but they make it glorious too. What: Broadway Across America – Orlando presentation of Leonard Bernstein-Stephen Sondheim-Arthur Laurents musical. When: 8 p.m. Feb. 1-4, 2 and 8 p.m. Feb. 5, 1 and 6:30 p.m. Feb. 6. Copyright 2011 by Elizabeth Maupin. This entry was posted in Broadway, Orlando theater, Reviews, Tours, Uncategorized and tagged Ali Ewoldt, arthur laurents, broadway across america orlando, Broadway theatre, carr performing arts centre, Jerome Robbins, Leonard Bernstein, lin-manuel miranda, stephen sondheim, West Side Story. Bookmark the permalink. I thoroughly enjoyed the show!! It is a reminder of how perfect these classics are, I agree!! I was so happy for & proud of my friend, Ali Ewoldt, as Maria!!! I wish there was an opportunity to applaud after “I Have A Love”, my very favorite song from the show!!! What a delight to finally see this show, which demands an orchestra beyond the budgets of most regional theaters. It’s amazingly fresh and unique, even after fifty years. Terrific choreography and energy. Oh how I wished the show I saw tonigth was worthy of Ms Maupin’s words. I couldn’t sit in my seat, wondering how long before the curtain went down. The pain of listening to the “Tony” who performed tonight kept me squirming in my seat until the intermission. He had trouble reaching the higher notes, and was off key way too often…. but for me, the one thing that nearly put me out of my chair was watching Tony and Maria kiss. This was supposed to be the love story, the “KISS”, the teenage crush! The passion! Tony looked almost as if he was afraid to kiss Maria…afraid that if he opened his lips ever so slightly he would be grossed out. The lights went up and there seemed to be a mad dash to get out into the fresh air! It was a race to see who could get to their cars! How I remember the Broadway show – the Jets in their peg pants/ chinos and slick backed hair! Tonight’s rendition showed young boys, as Ms Maupin states, but certainly not with the toughness of the street gang. The rumble was GREAT! It was energetic! Choreographed perfectly! Finally we felt a part of the energy….but it was not enough to keep us there until the end. I have to agree with most of Debbie Kantor’s comments. For me the dancing was a big disappointment. Too often I felt the moves were “telegraphed” in advance of their being made. And some of the vocals made me cringe. Maybe the fact that I saw a wonderful performance of Billy Elliott the night before jaded my opinion but I don’t think so. Wally, I’m afraid even the most wonderful Billy Elliott wouldn’t compare to West Side Story in my book. I loved the BE movie but the stage show bored me to tears.